Chicago, Nov. 07, 2018 (GLOBE NEWSWIRE) -- Chicago, IL (November 7, 2019) --- Guaranteed Rate, one of the largest retail mortgage lenders in the nation, announced it has been recognized for the seventh consecutive year by the Chicago Tribune as one of the Top Workplaces. Headquartered on Chicago’s north side, the company has been on an upward trajectory since its founding. 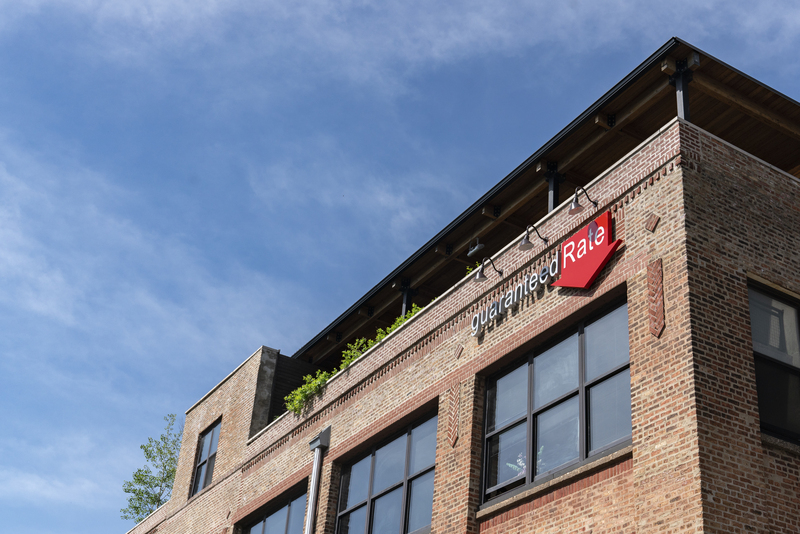 Guaranteed Rate employs more than 1,500 people in the Chicagoland area and ranked at the top of the large business category. Professionally-trained chefs providing healthy, fresh and organic low-cost meals for employees in the company’s on-site kitchen and café. Guaranteed Rate employs talented people from numerous fields, including loan origination and processing, insurance, information technology, operations, design, advertising, and marketing. The company has received numerous honors for its technology and innovation as it builds a modern, streamlined mortgage process that’s simple for home buyers. Recently, U.S. News & World Report named the mortgage company as the Top Lender for Online Service, citing its Digital Mortgage and 10-minute closing appointments. For more information on careers at Guaranteed Rate, please visit: www.joingrnow.com. Guaranteed Rate is one of the largest retail mortgage lenders in the United States. Headquartered in Chicago, the Company has approximately 210 offices across the U.S. and Washington, D.C., and is licensed in all 50 states. Since its founding in 2000, Guaranteed Rate has helped hundreds of thousands of homeowners with home purchase loans and refinances and funded nearly $19 billion in loans in 2017 alone. The Company has cemented itself as the Home Purchase Experts® by introducing innovative technology, such as the world's first Digital Mortgage, by offering low rates within an easy-to-understand mortgage process and by delivering unparalleled customer service. In 2017, Guaranteed Rate launched Guaranteed Rate Affinity, LLC, a mortgage origination joint venture between Guaranteed Rate, Inc. and Realogy Holdings Corp. (NYSE: RLGY), a global leader in residential real estate franchising and brokerage. Guaranteed Rate won an American Business Award for its Digital Mortgage technology in 2016, ranked No. 1 in Scotsman Guide's Top Mortgage Lenders 2016, was chosen as Top Lender 2016 and 2017 by Chicago Agent magazine, made the Chicago Tribune's Top Workplaces list seven of the past eight years, and was named Best Overall Online Lender and Best Lender for FHA Refinance by NerdWallet in 2018. Visit rate.com for more information.